We are a community of people who want to, and do see, God working in our lives and the lives of those around us. 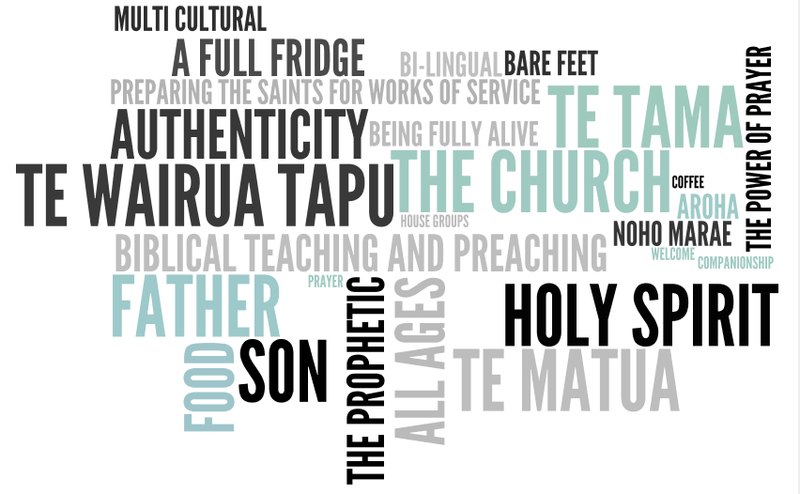 We are figuring out how to be a multi-generational, multi-cutlural church in Aotearoa, New Zealand. We meet at the school hall in the beach side community of Wainui. In Spring of 2013 we came up with the following words as things that are important to us. What would you add to the mix? The following message from September 2017 is a great summary of who we are the things that are important to us. Click here to go to the video mentioned at the end. Out of a desire to see a Christian witness maintained at Wainui Beach, Gisborne, a church was planted in early 1996. Due to increasing numbers the church relocated to Wainui Beach School Hall in the year 2000 where we presently meet. Independent for 9 years, WBC joined the LinkNZ Network of Churches in 2005. Senior Leaders Carl and Sharlene Pilkinton were appointed in January 2012. They moved here from Porirua with their three children. WBC has steadily grown. With the growth has come the anticipation of new wine and new wine skins. Currently, in a short season of being independent once more, we eagerly anticipate fresh direction and leading into a new church network from 2019 forward.